I made it about a week before Christmas so I’d have something healthy to eat for breakfast, and I liked the idea that it had a bit of a kick to it, thanks to the inclusion of allspice and black pepper. The recipe also specified quinoa flour, which by coincidence, I had seen at our local (awesome) grocery store a few days earlier and bought on a whim. What did I learn on my voyage? Half a teaspoon of black pepper in a loaf of quick bread is too much. Nobody else wants black pepper in their pumpkin bread. 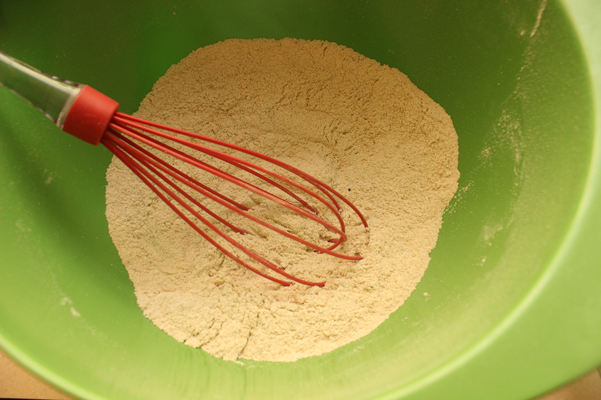 Quinoa flour, when used correctly, takes the texture of baked goods to new heights of perfection. 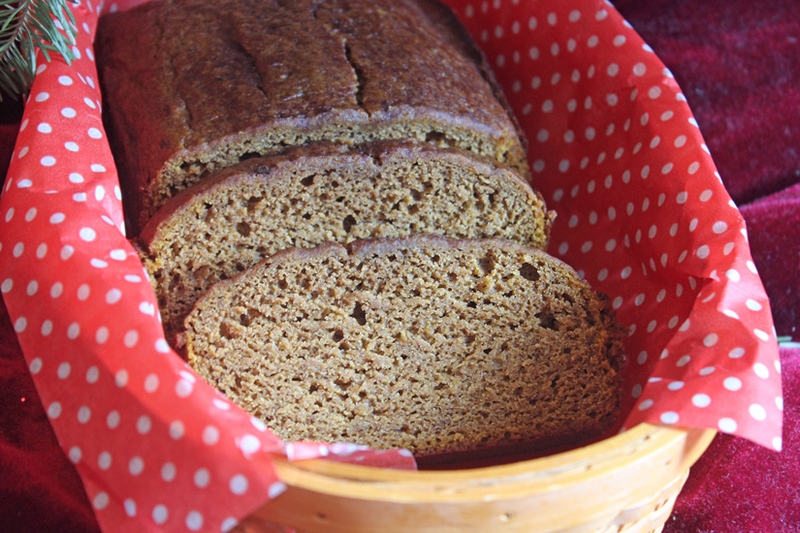 This is the best pumpkin bread in the whole world. Despite the pepper, I devoured this loaf greedily over the next few days, mostly because the soft crumb made it among the nicest baked goods ever to come out of my kitchen. A few days later, I made it again, this time swapping out the allspice and pepper for the more traditional notes of cinnamon, nutmeg, and pumpkin pie spice. And what did I get for my troubles? A little taste of what pumpkin bread heaven must be like. To quote Dale Cooper, “This must be where pies go when they die.” Trade in the pie for some cinnamon pumpkin bread and I’m right on the same page. Merry Christmas to me! Now I have something healthy to eat after the onslaught of cookies and Christmas decadence. Now what I photographed, for the most part — and with the exception of the picture at the top of this post — is the first one I made. So what you see here are the original dry ingredients: whole wheat white flour, quinoa flour, baking soda, sea salt, cinnamon, ginger, black pepper, and allspice. Once it’s whisked, you start to get an inkling of what the magical texture of this bread is going to be. It just looks so soft! 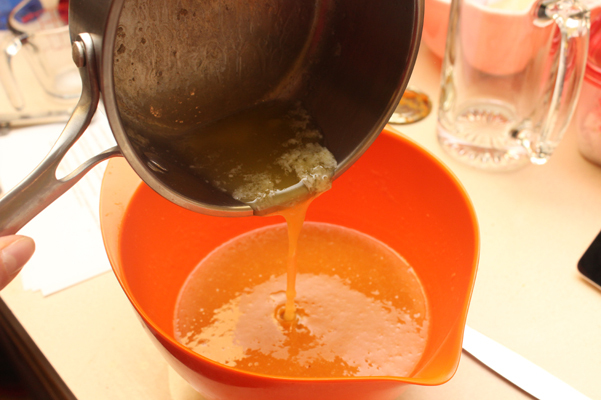 Simple recipe, simple steps: liquid ingredients next. Cane sugar, pumpkin, eggs, and milk. I added in the melted butter, a mere 3 tablespoons. It said to “drizzle” it in. I did my best. 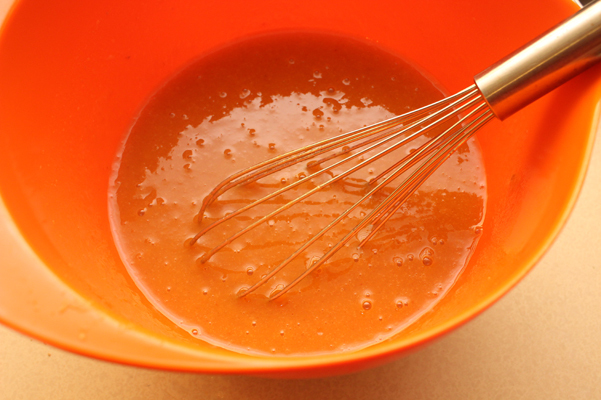 Once that was stirred in, I poured it into the bowl with the dry ingredients, and gently stirred with a spatula, just until incorporated. The recipe said to bake for 50-60 minutes, but mine was done at 48, already cracking on top. I gave it ten minutes in the pan, then moved it to a wire rack. That was the pepper version. 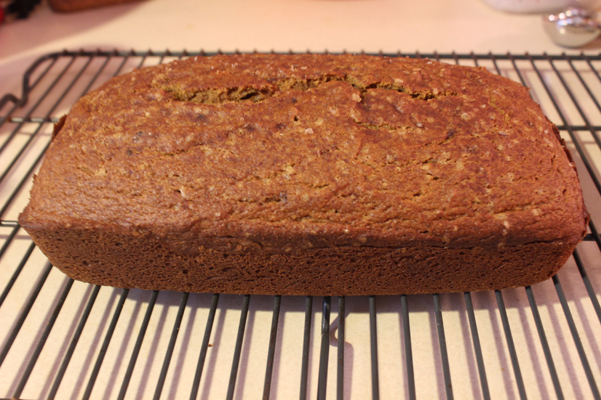 The second one I made, focusing on the fall spices, looked a lot smoother on top. Both loaves had exquisite texture, the crumb I strive for every time I bake something and hope for in my baking dreams. 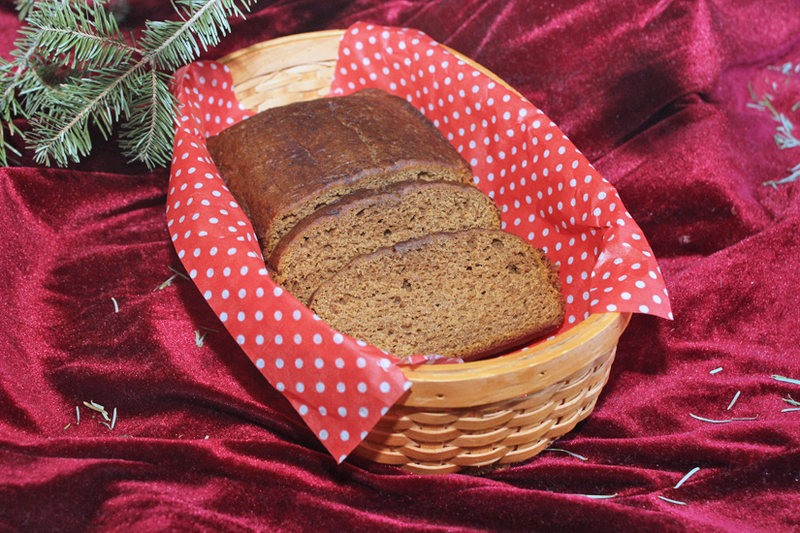 The second loaf got the flavor just right, which is why it seemed so right to photograph it under the tree. 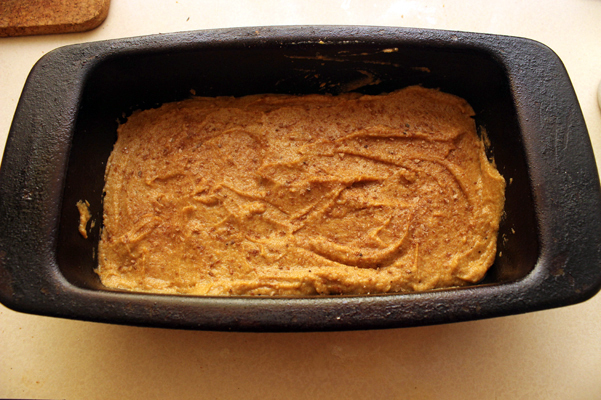 Heat oven to 350 degrees, and grease or spray a 9 x 5″ loaf pan. 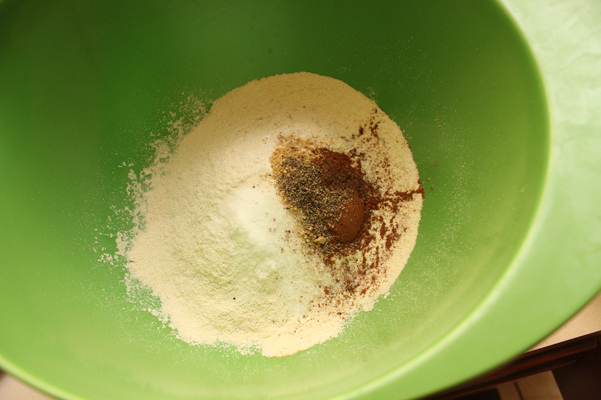 In a large bowl, whisk together the flours, baking soda, salt, and all spices. 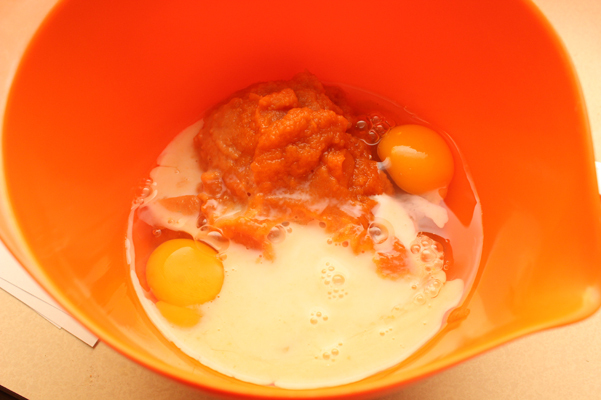 In a medium bowl, whisk together the sugar, pumpkin eggs, and milk. Once combined, drizzle in the butter and mix again. 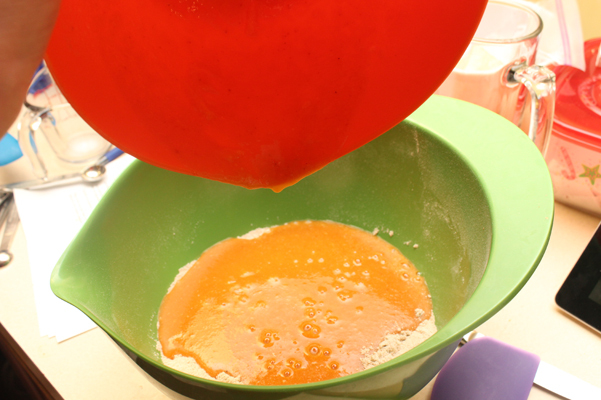 Add the liquid ingredients to the dry and fold, stirring just until combined. 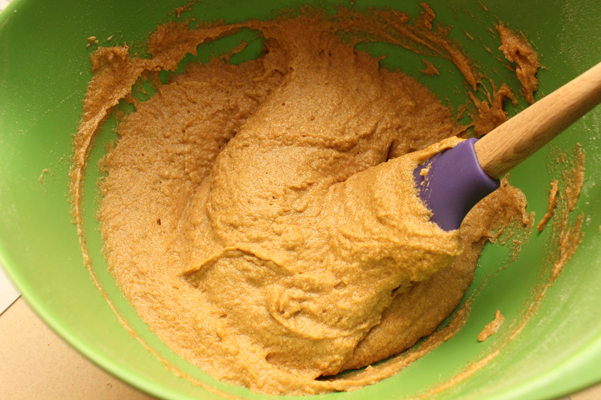 Pour the batter into a loaf pan. If desired, sprinkle cinnamon sugar on top. Bake for 45-55 minutes, until the top springs back and a toothpick comes out clean. Let sit in the pan for another 10 minutes, then remove to a wire rack to finish cooling.